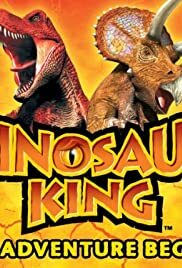 Watch Dinosaur King full episodes online English Dub. Dinosaur King is a card-based arcade game from Sega that uses the same gameplay mechanics from Mushiking but uses super-powered dinosaurs instead of beetles. The game was revealed in JAMMA 2005 and is available in Japanese and English versions.